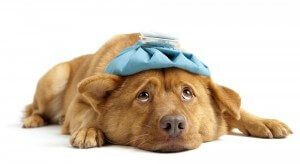 We understand that leaving your pet for hospitalisation can be very stressful, not just for your pet but you too! You can be assured that while your pet is with us they will be under the very best of care. We have Nurses and Vets monitoring any inpatients around the clock due to their very close proximity to the surgery – even the most critical of patients can be cared for at Vale Vets. We have a dedicated Dog Kennel Ward, separate Cat Ward and Rabbit wards as we fully appreciate a Dog & Cats in close proximity can be stressful for both parties. This is even more so for Rabbits who are much more susceptible to stress, this is why we have a dedicated quiet area for our Rabbit guests. We also further stress relief aids in the shape of Feliway, a pheromone that has a fantastic calming affect for our feline guests. Feliway is also fantastic for many stress related conditions at home, from travelling (to the vets! ), urinary marking, over grooming & cystitis plus many others. Please just ask if you would like to know more. For our canine guests we use Adaptil which again is an appeasing pheromone, which has a great calming affect. Apaptil can be a great aid for those stress related conditions at home, destructive behaviour, vocalisation, etc…just ask if you would like to know more. We have a recovery kennel situated in the prep-room that is used for very close monitoring of pets post-operatively. We also have an oxygen kennel which is absolutely critical for any pet in respiratory distress and a dedicated isolation area for any pets with possible infectious conditions. If you still have questions regarding the care of pet during their stay with us please contact us, we would be happy to give you a tour of our hospitalisation areas.